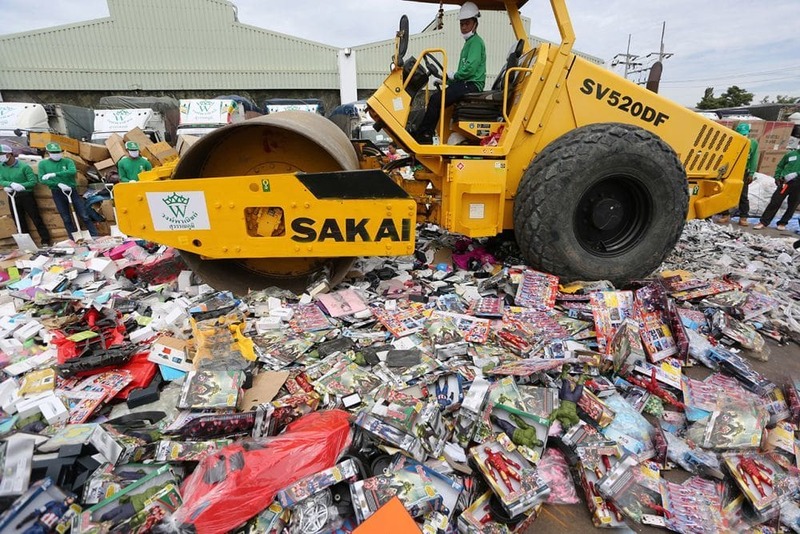 The Army has overseen the destruction of more than two million seized counterfeit items worth a combined street value of 1.3 billion baht. The ‘ceremony’ was held at an army base in Bangkok’s Don Mueang district today (Monday). 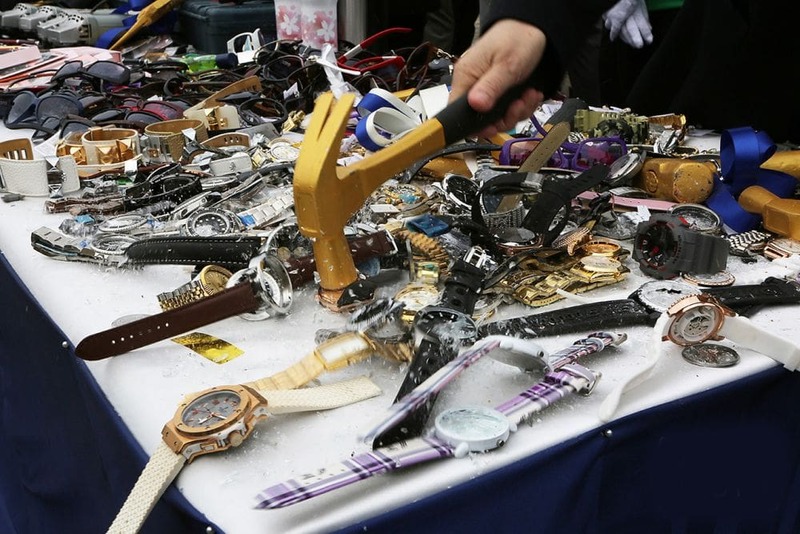 Deputy PM General Prawit Wongsuwon oversaw the event and watched as fake “brand-name” clothing, bags, shoes, sunglasses, cell phones, cosmetics – and wristwatches – were crushed at Army Air Defence Command Units headquarters. 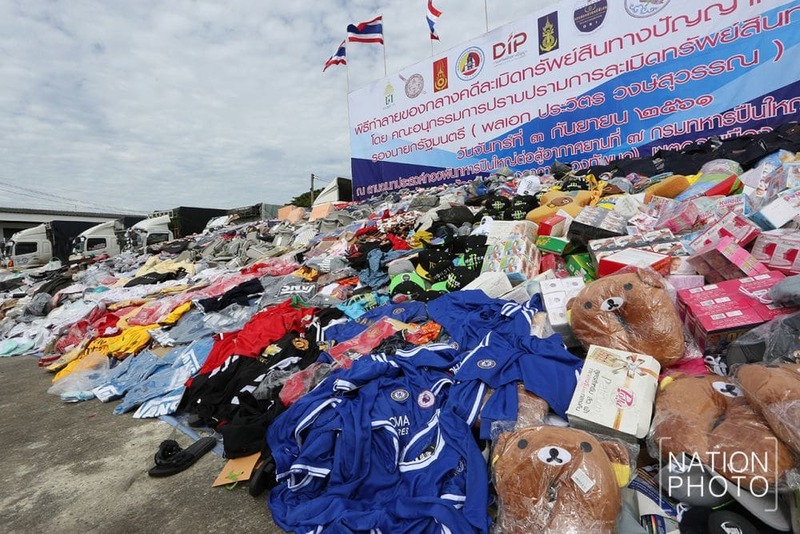 The Royal Thai Police contributed 187,332 confiscated items, the Customs Department 1,732,965, and the Department of Special Investigation 181,050. 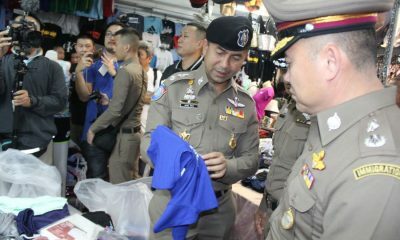 Prawit says more counterfeit goods would be seized as the government continues to improve the efficiency of a system to protect intellectual property, especially in law enforcement and amid campaigns to raise public awareness about the problem. 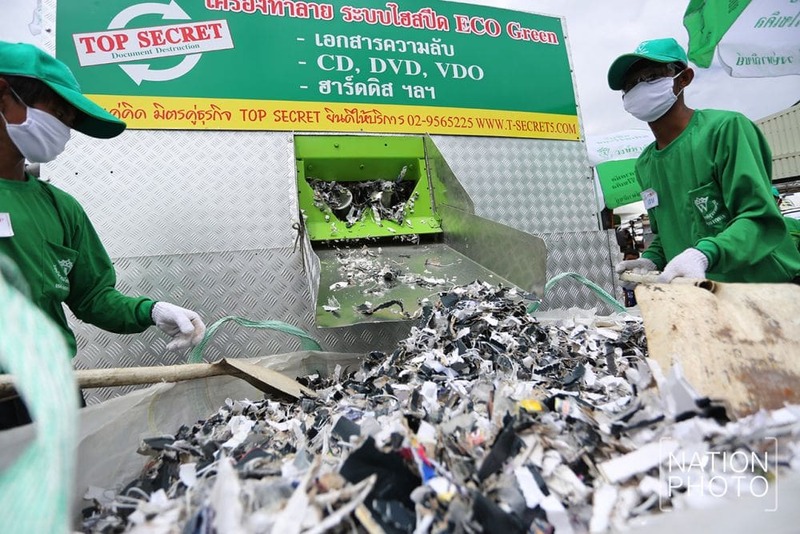 “Everyone should help in this effort so that we have only legal products on the market,” Prawit said, thanking all agencies for working to suppress counterfeits, from production and distribution to imports and exports. Prawit said the effort had last year succeeded in lifting Thailand from the US government’s Priority Watch List on intellectual property policies and enforcement to the better-regarded Watch List.